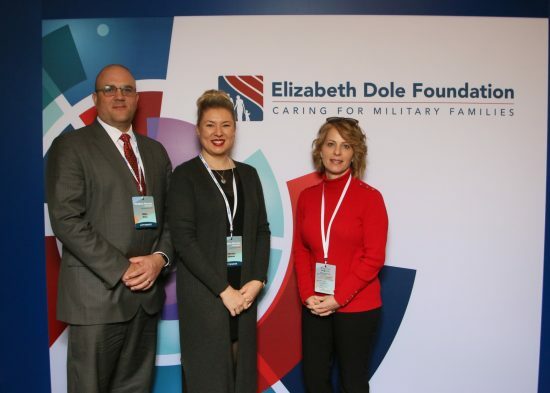 Members of the Centerstone staff recently attended the Third Annual National Convening, co-hosted by the Elizabeth Dole Foundation and the U.S. Department of Veterans Affairs. Pictured are Centerstone’s Military Services Executive Director Jodie Robison, Military Services Board Member Mike Enos and National Policy Director Monica Nemec. The theme for the event was “Hidden Heroes: Enhancing Support for the Military and Veteran Caregiver Journey.” The work included exploring ways to support the caregiver at every step of the journey.